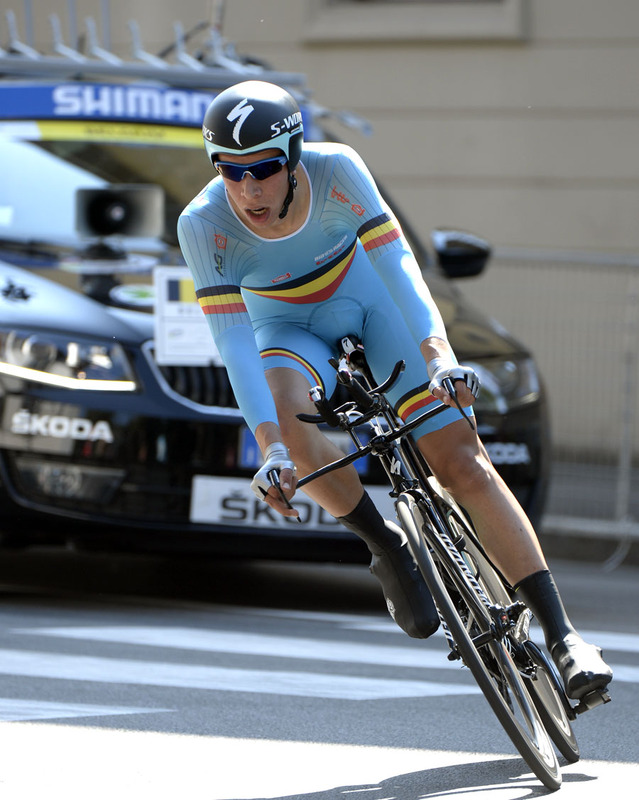 Belgian Igor Decraene won the junior’s time trial at the World Championships this morning. 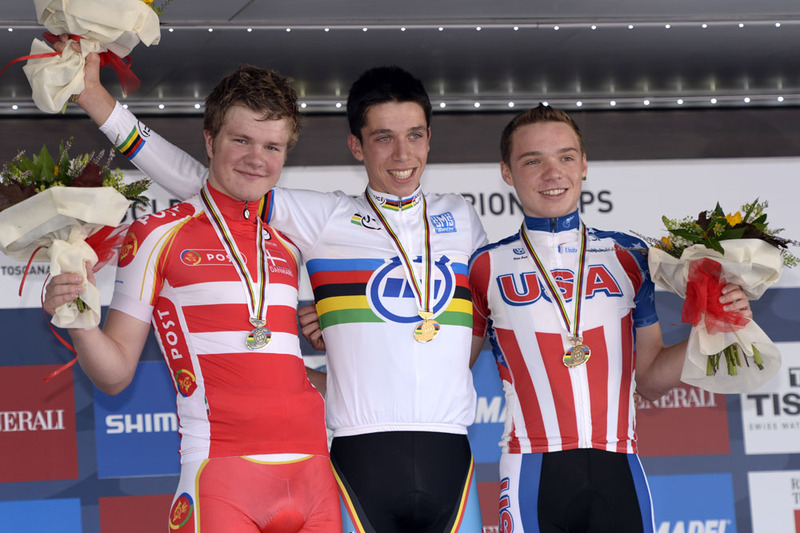 Second-last to arrive in Florence, he knocked off Dane Mathias Krigbaum and early pacesetter, USA’s Zeke Mostov. Decraene covered the flat 22.05-kilometre parcours down the Arno River in 26-56 minutes. Krigbaum finished eight seconds behind. Gibson rolled off the start ramp south of the city on the Arno and arrived near the football stadium 27-26 minutes later. 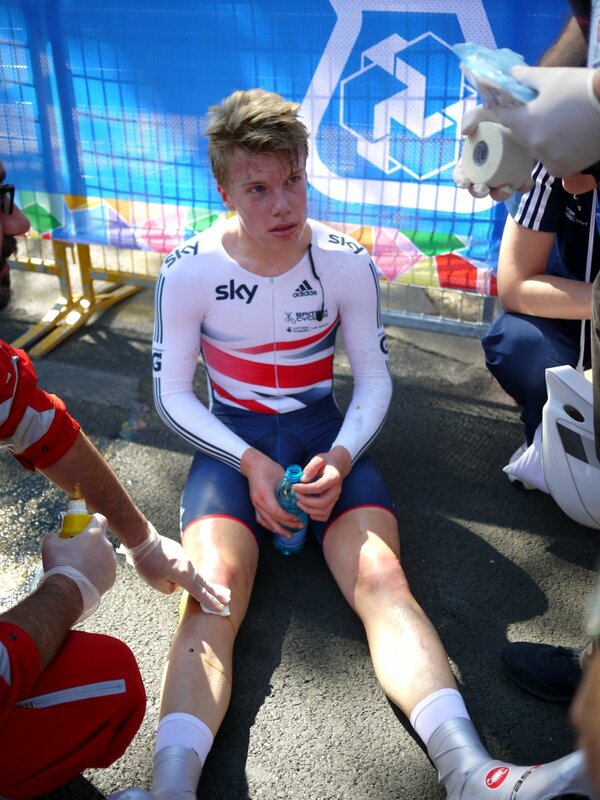 He zipped through the finish line, vomited and crashed into a bystander. Medics tended to his cut knee him as he vomited again. Once cleaned up, he rode to the waiting tent. He sat second best and third best, eventually pushed down to fifth. 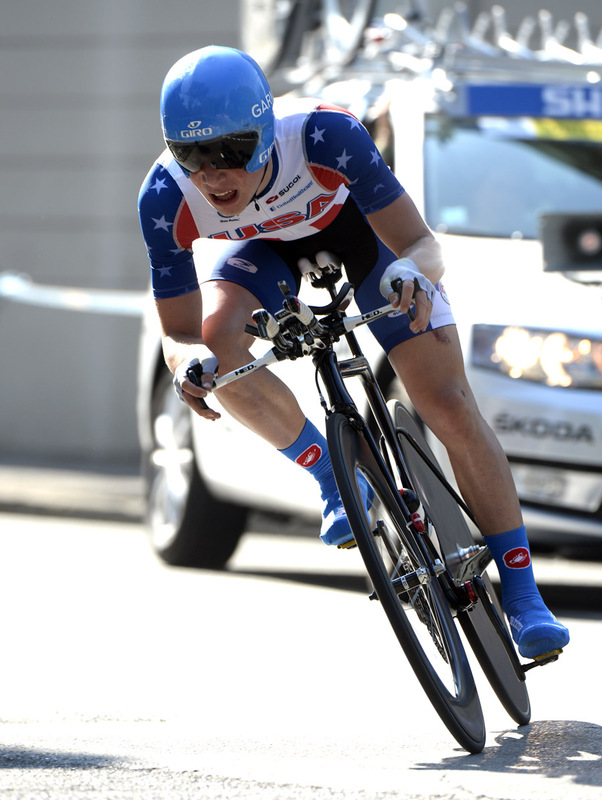 “I didn’t know what to expect before, I thought I’d be happy with top ten,” Gibson added.